Opinion | Online sales tax collection: What does this really mean for Alabama’s municipalities? The steady increase in online sales over the past decade has triggered an alarming shift in consumer purchasing habits from shopping at local brick and mortar establishments (which support community-owned businesses) to buying via remote sellers. The significant decrease in local sales and use tax collections make it more difficult for Alabama’s municipalities to provide basic services such as police and fire protection, road resurfacing, solid waste collection and disposal, educational funding and other essential services. In fact, according to data from Adobe Digital Insights, which tracks 80 percent of online spending at America’s 100 largest retail websites, American shoppers spent a record $6.22 billion in 24 hours during Black Friday in 2018, which marks a 23.6 percent increase in dollars spent online compared with Black Friday 2017. The Friday after Thanksgiving this year was also the first day in history to see more than $2 billion in sales stemming from smartphones according to Adobe. What is SSUT and how does it need to be adjusted? 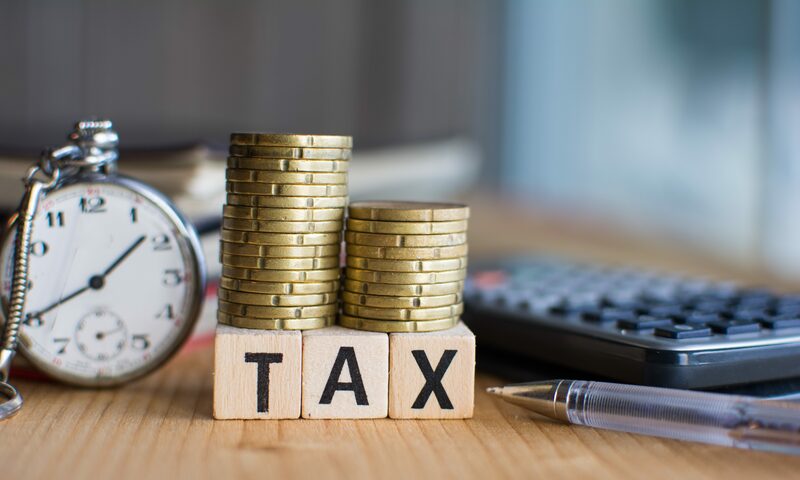 In 2016, the State passed the Simplified Sellers Use Tax (SSUT) to allow sellers to voluntarily pay tax on sales that would otherwise be outside the municipal taxing authority under current law. In 2018, the Alabama Legislature passed HB470 requiring marketplace facilitators – on-line malls – to collect and remit sales taxes from all vendors marketing their products through these platforms and limiting the sales tax collection discount for online retailers to one percent. HB 470 also enhanced the split of local governments’ SSUT revenues to 60 percent to cities and 40 percent to counties. as well as the many quality of life services our citizens not only expect but demand. As the number of vendors remitting taxes via the SSUT portal increases, even with the 60/40 split between counties and municipalities, Hoover will continue to be at a disadvantage compared to its prominence in retail sales for the State of Alabama overall. Therefore, attempting to equalize the rates is definitely a positive step to making the playing field between online retailers and brick and mortar stores more equitable; however, the formula (by population) for tax distribution across municipalities should also be reconsidered by the Legislature. Making this change will increase the effectiveness of the SSUT in capturing the loss of revenues from online shopping for the City of Hoover as well as other municipal retail hubs throughout the state. What does this mean for Alabama’s municipalities? Speaking for my municipality, the increase in online retail sales has substantially impacted the City of Hoover’s sales tax collections. For the State of Alabama, in calendar year 2017, the Alabama Department of Revenue received over $66.7 million through its Simplified Sellers Use Tax (SSUT) program to be distributed to counties and municipalities across the state. During that time, Hoover represented 2.82 percent of the population formula for distribution and received only $471,400 of the total $16.7 million disbursement related to municipalities. However, Hoover represents a larger percent of retail sales compared with other municipalities in the state. Based on conservative 2012 census retail sales estimates, Hoover represents 5.14 percent of all retail sales across the state (compared with 2.82 percent of population). Thus, due to the SSUT formula being based on population, Hoover is collecting 45 percent less than if it was based on the estimated retail composition percentage. In addition, if we applied the conservative 5.14 percent of all retail sales that Hoover represents to the SSUT calendar year 2017 tax basis of $834 million, it would represent $42.9 million of online sales applicable to Hoover, or $1.3 million in taxes (based on the 3 percent tax rate in effect during that time period). Under this scenario, Hoover is collecting only 37 percent of what would be due locally, when compared to the actual 2017 SSUT distribution. This differential for Hoover SSUT tax receipts will only increase due to the new requirement passed by the Alabama Legislature in Act 2018-539 that amends the Simplified Sellers Use Tax law. As of January 1, 2019, marketplace facilitators having sales made into Alabama through the marketplace of $250,000 or more are required to register, collect and remit all marketplace sales, including those of marketplace sellers, or report such sales to the Alabama Department of Revenue and provide customer notifications. This is a positive change for municipalities that will result in more revenue collections; however, the disparity for Hoover will be even greater as SSUT collections grow. Consequently, as dollars spent online increase, under the current distribution methods, Hoover will continue to experience less revenue collections through the SSUT portal than it would likewise receive from our brick and mortar stores. As the Legislature considers modifications to the SSUT program and the ramifications of our society moving to online sales, we are hopeful our state lawmakers will also carefully consider additional formulas and data points that recognize current retail hubs around the state. I am confident that local and state leaders can identify a measure and distribution method that will treat all Alabama’s municipalities fairly. Mayor Brocato began his career with the Hoover Fire Department in 1973. During that time, he became the first paramedic for Hoover. After 42 years of service, Mayor Brocato retired in 2015 as the Chief of Operations and Fire Marshal. He was sworn in as the 10th mayor of Hoover on November 7, 2016. He currently serves on the Alabama League of Municipalities’ Executive Committee and Digital Economy Task Force.